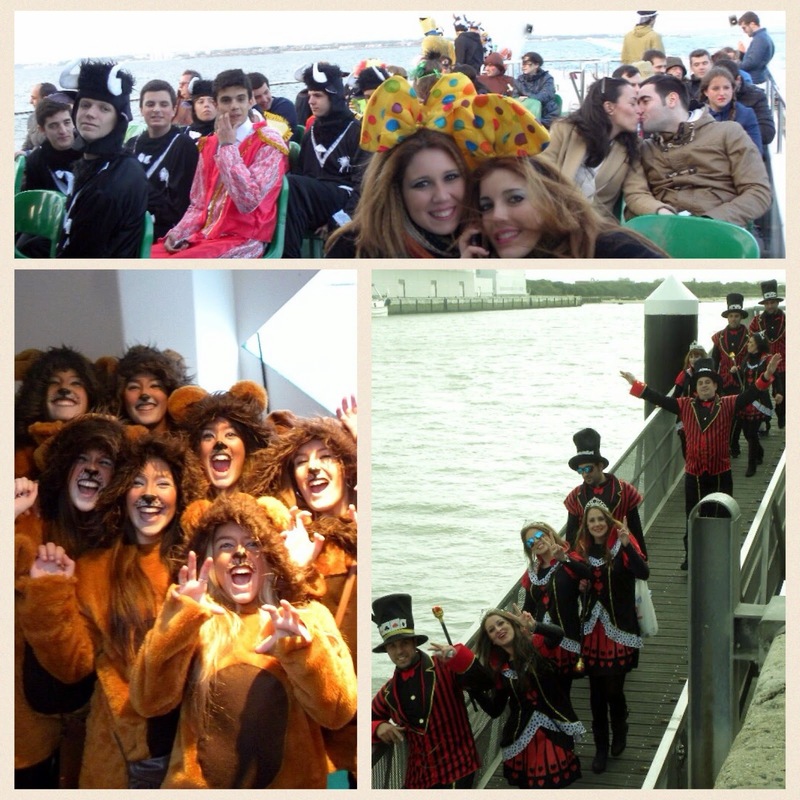 Carnaval in Spain OLE'! We have missed Carnaval in Rio and Venezia and we have not been to New Orleans for Mardi Gras, so we were not going to miss Carnaval in Spain. 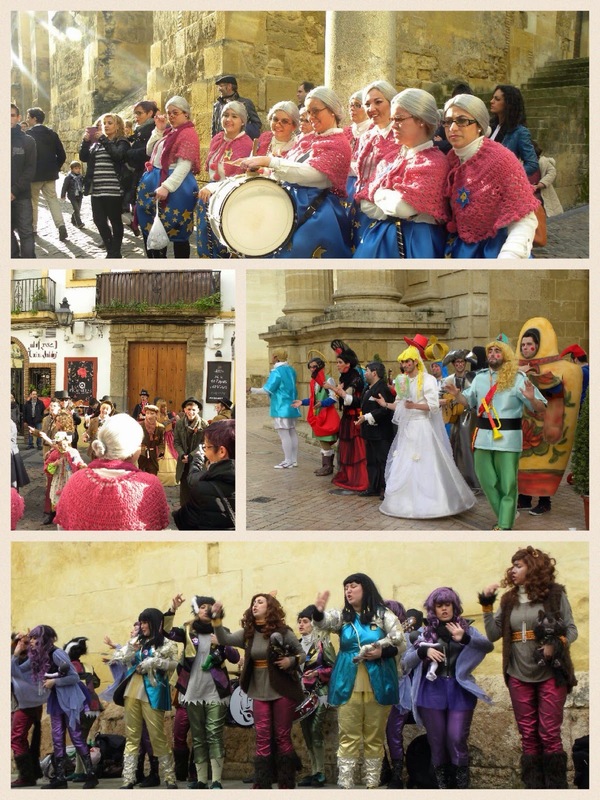 We were made aware that Spain, (at least in Cadiz and Cordoba) does not do Carnaval like the other places. Oh sure, there are costumes, parades and big crowds of drinkers etc. But in Spain they like to SING!!! 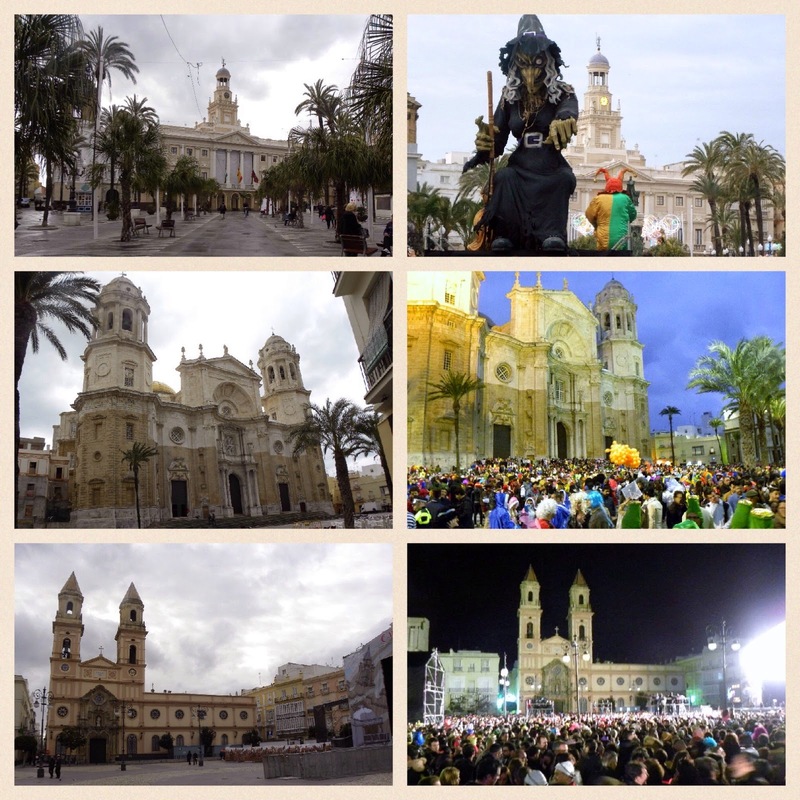 Cadiz and Cordoba spend two weeks singing all over their towns. They sing in large groups, small groups, with musicians and A Cappella. 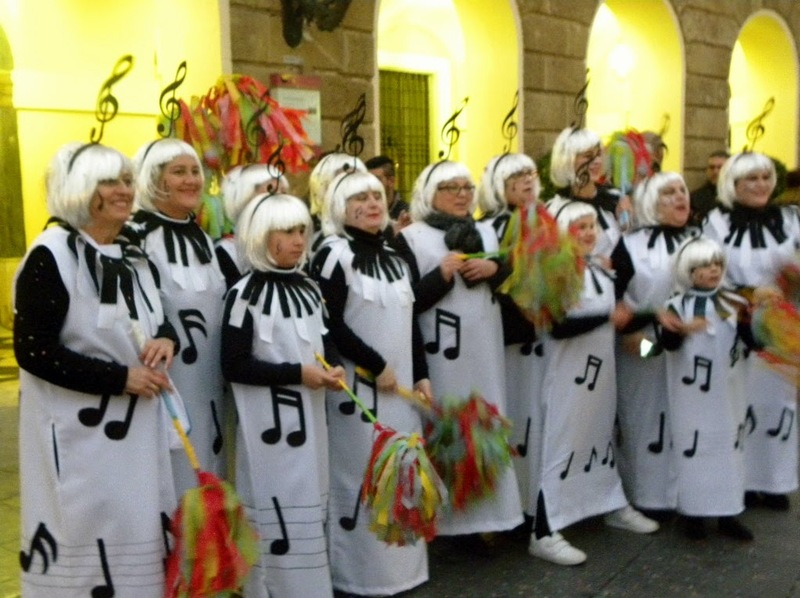 They practice all year and then beginning in January the Cadiz people start having competitions. 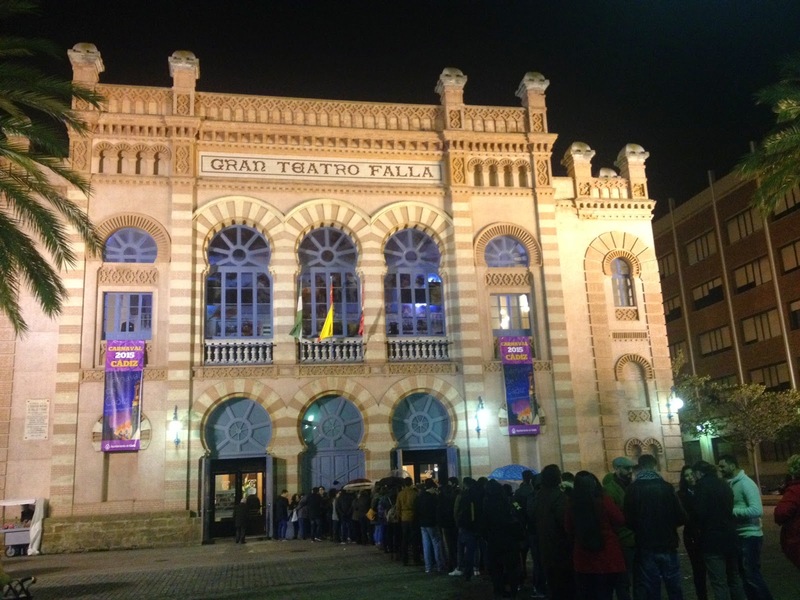 Cadiz will even televise the preliminaries, quarter and semi-finals, and the BIG GALA FINALS, (with tickets to attend starting at over 100 euro going into the 1000's). Much like "Whose got Talent" but with costumes. They write original funny songs and use current pop songs or Old Standards that everybody knows, (Except Us). I will admit here that "nuestra comprension del espanol es limitado" and our limitations prevented us from enjoying the satire and "Jokes" as much as the locals. However, that did not stop us from thoroughly enjoying the music, costumes and merriment. What a Party! The musical groups are Comparas, Chirigotas, and Choirs. 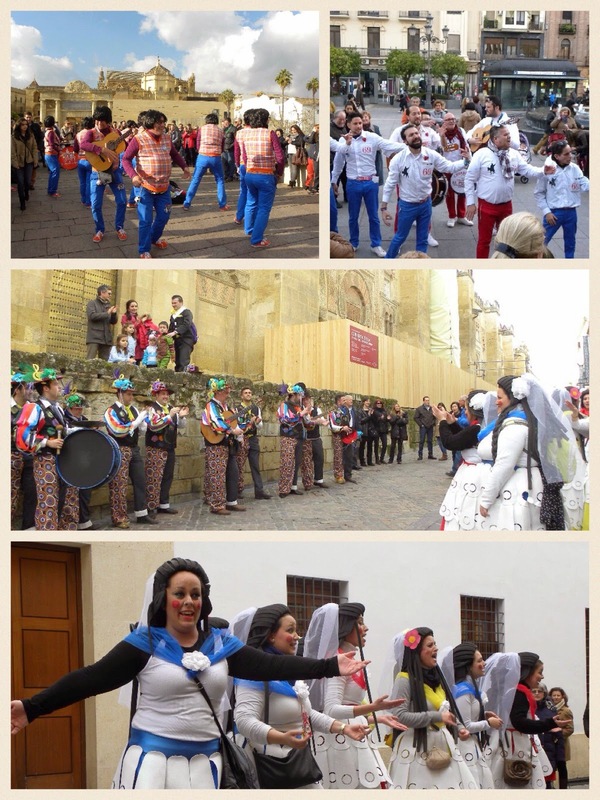 The Comparas are the witty satiric groups, The Chirigotas are like the Comparas except they sing happier songs like the group above, and the Choirs are larger groups. This isn't a great picture, but this is one of the Comparas groups - the streets are very narrow - and they will squeeze in a doorstop and start their satiric singing. Everyone is laughing and somehow we just laugh along with them. Cadiz's history goes back to 1100 BC, making it one of the oldest (continuously inhabited) cities in the world and the oldest city in Spain. It is a narrow strip of land on the Atlantic located in southwestern Spain. ...They were all so darn cute! Most popular costume of the evening was the bull fighter.......it was late and these guys were more than a little borracho. 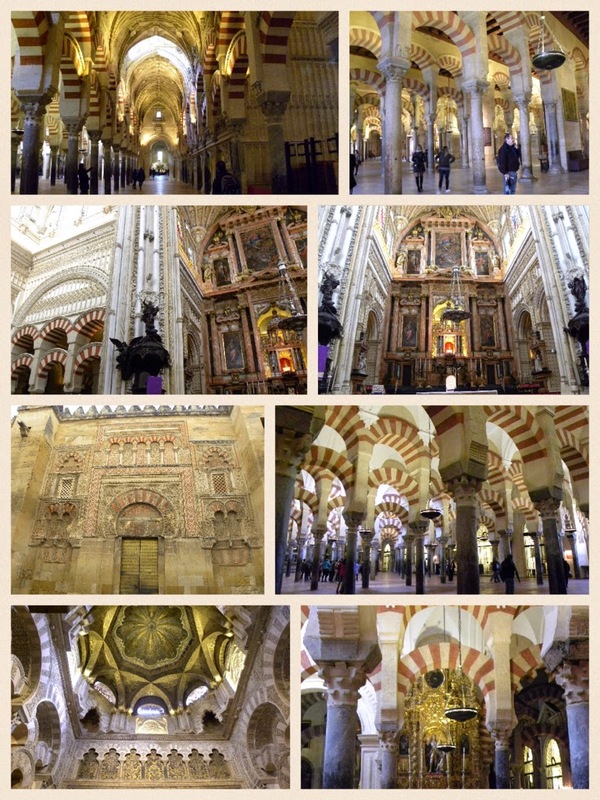 ...Like in Cadiz, we didn't understand too much, but we were thoroughly entertained. Too short a visit here, we will be back in the summer so ADIOS for now!! GRANADA or SEVILLE, Which would you choose?